Have you considered having photos in your guest book? A guest book is almost a given at any party or wedding. It’s a great opportunity for those you love nearly and dearly to leave a few words of wisdom and love for you! A guest book is certainly a treasured keepsake that can be looked back on for many years to come. One of the best things I love about attending a wedding with the Photo Booth and a Guest Book is that guests get to leave a picture of themselves as well as a little note of sentiment! In a world of social media and images photo’s are now been taken more than ever. So why not include them in your guest book! In years to come friends will visit, you can have a drink or two and laugh at the memories night. There is nothing better than having a photo printed and in front of you! Bonus you don’t need to worry about a hard drive crashing and loosing your photos either! 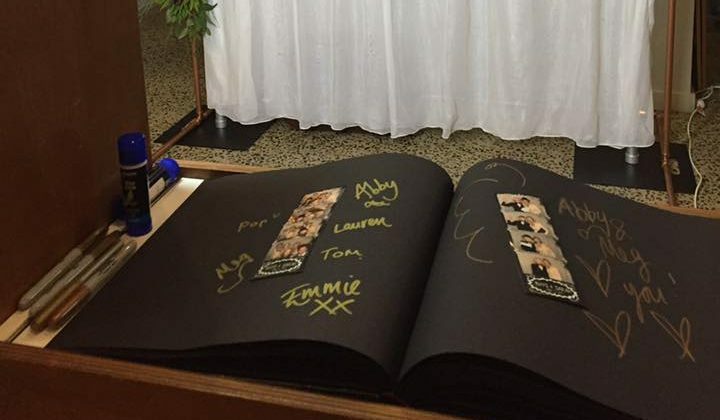 A guest book is a great way to ensure you hold onto your printed photos of your guests and messages all in one spot! Best of all you don’t need to have a photo booth at your event to do this. Although we think they’re fun and you should definitely have one :). They aren’t for everyone. One great DIY option is to buy a blank page guestbook, an instant camera and some film! Create a funky looking sign and let guests take a snap of themselves on the polaroid and stick it in the guest book with a message. The key to getting this to work is to make sure your guests know about it! 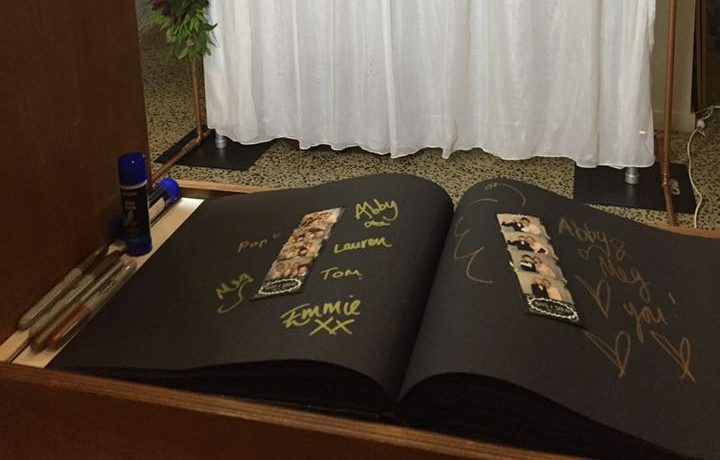 If no one knows about your guest book, no one will sign it! Your sign needs to be clear and your guest book set up in a great spot. Also get your MC or who ever is officiating your event to let everyone know about it. I know you definitely won’t be disappointed by adding a Photo Guest Book to your next event or wedding. Should I hire a Photo Booth for my wedding?